Two students from Tolles Career and Technical Center in Plain City, Ohio will match repair skills against the best young auto technicians in the country at the national finals of the 2015 Ford/AAA Student Auto Skills Contest to be held June 7-9 in Dearborn, Michigan. Caleb Mclain and Channrithy Norng, accompanied by their instructor, Brian Parks, will vie for the national title against two-person teams from every other state. “Caleb and Channrithy will make Ohio very proud,” said Lori Cook, AAA Safety Advisor. “They have worked hard and deserve their place in this showcase of the nation’s best young auto technicians,” she added. At the Ford/AAA Student Auto Skills National Finals, the students will have their automotive skills and knowledge put to the test with a written exam and a timed event in which they race against the clock and each other to identify glitches and repair deliberately-installed “bugs” in identical 2015 Ford Fiestas. The team with the best combined written and hands-on score will win the national championship. The road to Dearborn began in January when more than 12,000 high school juniors and seniors took an online exam testing their automotive technology knowledge, and will culminate with one team taking home the title of national champion. In addition to scholarships and prizes, this year’s national champions will earn automotive equipment and a trip to the Wood Brothers Racing facility where the students and instructor will work on race cars and learn from top automotive engineers. Ford/AAA Student Auto Skills enables many of its participants to embark on promising careers in the automotive repair industry to help fuel the rising demand for well-trained technicians that can repair both computer and mechanical components in today’s advanced vehicles. 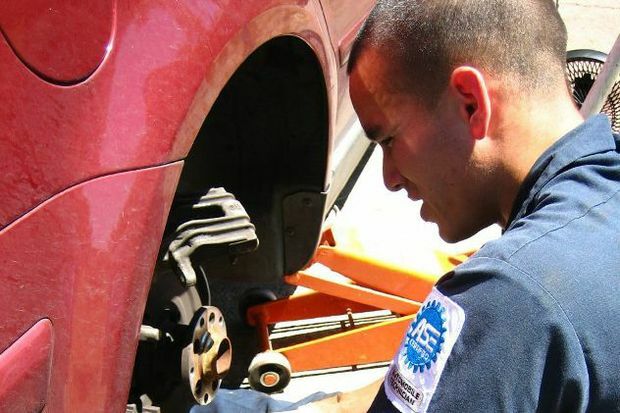 Both the national and the state-wide competitions are organized with the support of AAA and Ford personnel, local automotive instructors and the AAA Approved Auto Repair program, a public service AAA performs to identify quality repair facilities throughout the country. The competition awards millions of dollars in scholarships to thousands of high school auto students each year, including the national title winners, allowing them to further their education in this rapidly changing industry. Students from Kettering Fairmont Career and Technical Center came in second place, and in third place is Apollo Career Center. AAA East Central is a not-for-profit association with 82 local offices in Kentucky, New York, Ohio, Pennsylvania and West Virginia, servicing more than 2.7 million members.